John F. Bosher, as a retired professor of history, spent ten years writing his A-to-Z volume of 769 biographies for his 839-page Imperial Vancouver Island: Who was Who 1850-1950 (Indiana, Xlibris, 2010). He says if the twenty-first century did not find rambling Victorian titles intolerable, it could have been called Some Imperial Campaigners and their Friends on Vancouver Island from the Cariboo Goldrush and the Indian Mutiny to the Invasion from Mainland Canada after the Second World War, 1858-1958. As the title suggests, most of the people in the book were born in Britain or in British India or elsewhere in the Empire at a time when Canada was part of it. Bosher's first ancestor on Vancouver Island, for instance, was Sarah Taylor Marsden (1833-1916), who sailed 14,300 miles from Liverpool, via Cape Horn, in a "bride ship," arriving in Victoria in 1863. The author's father emigrated from Berkshire in 1920 and became a bulb inspector for the Dominion Experimental Station in Saanich. There are entries for Sir Charles Bell, world expert on Tibet and a friend of the Dalai Lama, Sir Frederic Maze, ex-director of the Chinese Maritime Customs, and several other exotic knighted Imperials, as well as notes on Dean Cridge and Bishop Hills, warring with one another in the 1870s. Other profiles concern an ex-RCMP officer who served in the Belgian cavalry and set a world record for firing his service revolver; and Lady Mary Emily Swettenham, widow of a governor of Jamaica. Many of the entries are based on private papers belonging to descendants of his subjects. Bosher sent his manuscript to one of the do-it-yourself publishers as an experiment. He discovered the printing company advertise their e-mail order number as orders@xlibris.com but this service only works for people who live in the USA. He therefore published a second, much enlarged and corrected, edition of a book that was first printed in the USA by Xlibris in 2010. The publisher/printer in England will provide free delivery of the second edition via The Book Depository. Most of the 800 people mentioned in the book were born in England. "What I am trying to do with my present project," he says, "is to treat the British Empire and the Imperialists in their own terms in order to understand them better. The whole subject belongs in History now, no longer in politics, because the British dissolved the Empire half a century ago. Too many Canadians, like our American neighbours, treat it as though we were still struggling against it. And the truth is that WE never had to struggle. London could hardly wait to get rid of us. But as a result of our perverted (partly Irish-American) standpoint and our myths, we don't understand the Empire and the Imperialists very well. I also think, of course, that a variety of different points of view is all to the good in history." Vancouver Island joined Canada in 1871 and the Royal Navy withdrew from Esquimalt thirty-five years later, but island communities did not lose their Imperial character until the 1950s. Born in North Saanich, B.C., Bosher studied at the Sorbonne and gained his Ph.D in History from London University. He taught history at King's College London, UBC, Cornell University and York University. 1. The Single Duty Project: A Study of the Movement for a French Customs Union in the 18th Century, London (Athlone Press of the University of London), 1964, 215 pp., maps. 2. French Finances 1770-1795: From Business to Bureaucracy (Cambridge, Cambridge University Press, 1970), 370 pp., reprinted as a paperback in 2009. 3. The Canada Merchants, 1713-1763 (Oxford, Clarendon Press, 1987), 234 pp., two maps. 4. (editor and contributor), French Government and Society 1500-1850: Essays in Memory of Alfred Cobban (London, Athlone Press, 1973), 326 pp. 5. The French Revolution (New York, W.W. Norton, 1988), LXI & 353 pp., eight maps; English edition (London, Weidenfeld and Nicolson, October1989); paperback editions in London and New York, 1989. 7. Business and Religion in the Age of New France: Twenty-two Studies (1600-1760) (Toronto, Canadian Scholars' Press, 1994), 530 pp. 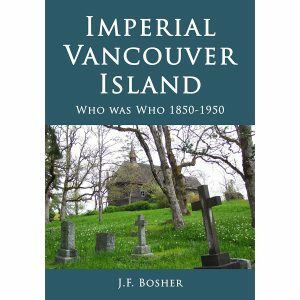 Imperial Vancouver Island: Who Was Who 1850-1950, is an alphabetical who's who of about 800 people from the British Isles, British India, and other parts of the Empire. Most of these people were active in public life and tied the Island to the British Isles by their correspondence with relatives and their journeys back and forth. The entries vary in length from a few lines to several pages, according to what I have been able to discover during the past twelve years. Each entry concludes with a list of sources. This book is a corrected and enlarged version of a first edition published in 2010. Among many other sources, I have used the private papers of several friendly families on Vancouver Island and elsewhere. Several descendants there have been immensely helpful. In a century when the British Empire covered about one-quarter of the globe, Vancouver Island was a remote British colony for more than a generation before it became a part of Canada in 1871. It was reached by sea around the southern tip of South America because more than 2000 miles of wilderness separated it from Canada, which did not even extend into the prairies until 1869. The sea journey became easier from 1914, when the Panama Canal opened, but by then the Island's British character was firmly established. Even when the Canadian Pacific Railway (CPR) reached the Pacific Ocean in 1886, new arrivals from Canada tended to settle in or near Vancouver City on the B.C. mainland, whereas emigrants from the British Isles tended to go on, across the Strait of Georgia, to Vancouver Island. In fact, there was no Vancouver until the railway reached the B.C. coast: it was merely the city which grew up after 1886 around the western end of the CPR. To reach Victoria, founded in 1843, passengers on the CPR had to make a voyage of 70 miles through the Strait of Georgia. People who have never lived in B.C. often confuse Vancouver (City) with Vancouver Island, as though they were the same place. Early visitors were aware of this confusion and thought it had been a great mistake to call the new city Vancouver. One of them was William Henry Barneby (1843-1914), a Herefordshire squire who appears in this book because he visited the Island twice in the 1880s and wrote a long book about each visit. The colony which Sir James Douglas established in 1843 at Victoria, Vancouver Island, was defended from the first by the Royal Navy (RN), which founded a naval station at Esquimalt, 3 or 4 miles west of Victoria, in a bay on the Strait of Juan de Fuca, facing across that strait at the snowy mountains of the Olympic Range in the United States. Ships of he RN were continually coming and going and their crews talked about the Island at home in Britain and wherever they went. What they had to say was (1) that Vancouver Island had a climate like Devon and Cornwall, quite different from the climate of continental Canada, which was (and is) frozen in winter and baking hot in summer. The difference was immense in an age without natural gas or petroleum heating oil, motorized traffic, or cheap insulation for houses. And Vancouver City on the mainland had (and has) almost twice as much rainfall as Victoria. (2) Furthermore, the Island had (and has) scarcely any of the mosquitoes, black-flies, and other winged pests which plague most of Canada. (3) Although the Island had few great agricultural spaces, but mainly patches of land among its mountains and rocky outcroppings, it offered land that was unoccupied, relatively cheap, and attractive to pensioners with small incomes. It did not attract penniless British emigrants because it was so remote and offered very little employment. (4) The Island was different from Canada in not having any large population of settlers from the United States like the British Empire Loyalists who had found refuge in Ontario and the Maritime Provinces of Canada at the time of the American Revolution in the late 18th century. The Island had (and has) an aboriginal population of tribes, for which reservations were set aside, but the tribes were soon decimated by European diseases spread unconsciously by people from the British Isles and elsewhere. John F. Bosher was born in North Saanich, Vancouver Island, the first of five children born there to parents from England. After a B.A. degree at the University of British Columbia (1950), he joined the Canadian Civil Service in 1951, went to the Sorbonne in Paris in 1953-54 (Diplome d'Etudes superieures d'Histoire), and then the University of London (Ph.D. 1957), where he served at King's College London as Assistant Lecturer (1956-1959), before returning to teach at UBC (1959-1967), going on to Cornell University (1967-1969) and then York University Toronto. Meanwhile, he spent many years in France (a year at a time) doing research in archives at La Rochelle, Bordeaux, Paris, and elsewhere for the half-dozen books he has written in the fields of French and French-Canadian history. 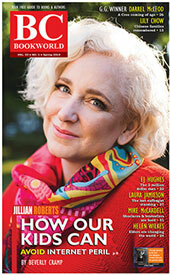 Since retiring in 1995, I have studied the history of Vancouver Island and its place in the British Empire. The essential fact is that Vancouver Island was a British colony, like Bermuda, Ceylon, Malta, etc. for more than a quarter of a century before it became a part of Canada in 1971. AVAILABLE From most book shops in the United Kingdom, and is globally available via UK-based Internet book retailers.